Press Release (ePRNews.com) - Aug 16, 2017 - Casio Computer Co., Ltd. announced today the release of the G-SHOCK brand’s watch collaboration with legendary New York street artist, STASH. G-Shock fans and famous social media personalities / influencers attended an event held on 11th August 2017 in Virgin Megastore in Jeddah organized by the official distributor, Mehmood Saleh Abbar Co. During the distributor announced the launch of GA-100ST watch in the Saudi market. 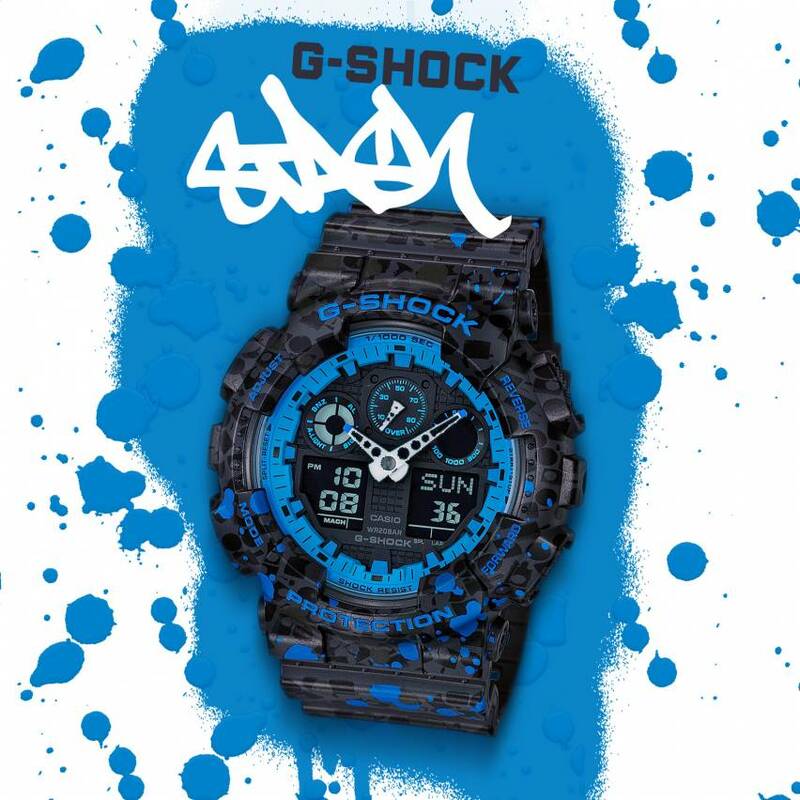 The limited edition model boasts a black-on-black print of aerosol caps on the band and case, over which a blue splash pattern was applied, designed exclusively for G-SHOCK by STASH. The GA-100ST will also come with a one-of-a-kind spray can packaging featuring STASH’s unique logo.